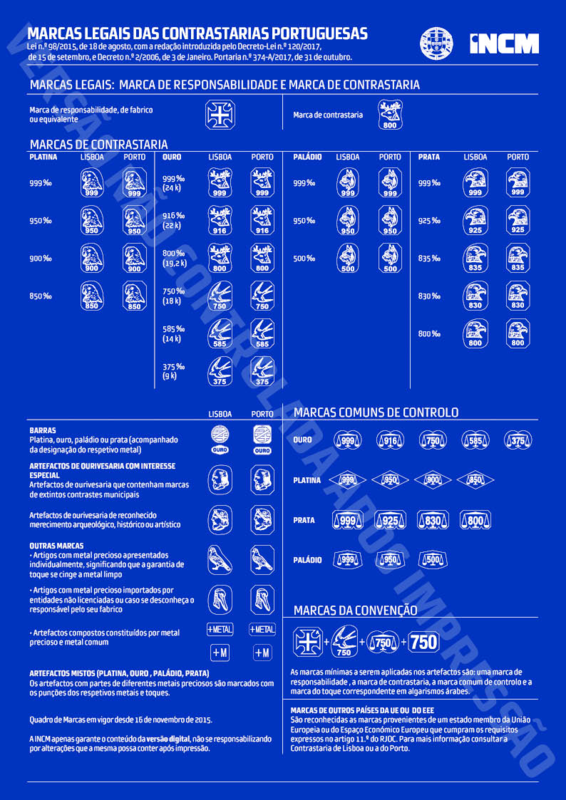 All our precious metals products have the official Portuguese mark. In case of doubt about the authenticity of the marks, you can use the services of INCM. You can also consult the marks list here . You can also use an official valuer, enrolled in the INCM. To consult the list of available valuers, click here.